Green Tea for Weight Loss: 6 Benefits of Your Healthy Relationship with a Teapot - Forget about the latest diets and exhausting exercises! According to recent studies, losing excess kilograms seems as easy as just sitting and drinking tea all day long. Sounds like some perfect solution for a nation, doesn’t it? In fact, millions of cups of tea are drunk each day in the world. But the point is to take the most from the health benefits of green tea, and come closer to Hollywood bodies. Well, specific substances in green tea can offer a few weight loss promoting effects, including speeding up metabolism and suppressing appetite. The scientists state that this is caffeine, which helps in burning calories. Besides, antioxidant-rich brew, full of catechins, may greatly support anyone’s weight loss efforts. On the other hand, drinking more than 5 cups a day may lead to several caffeine-related side effects or aggravated health conditions: headache, sleep problems, nervousness, anxiety, irregular heartbeat, high blood pressure and even diabetes. So, moderate increasing of green tea intake may result in weight loss benefits, but not in negative health effects. Read: How to Lose Weight Fast for Teens? In order to lose weight significantly, it is important to combine regular exercise activity with a healthy diet. In a word, drinking green tea is considered to be a natural weight loss supplement and aid. Boosting Metabolism – Many celebrities and supermodels have championed the way of drinking slimming brews for years, which help them to get a smaller size and keep looking younger. 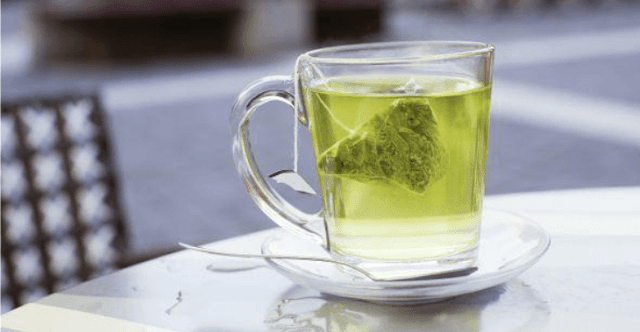 Burning Calories – There are hundreds of teas that help you lose weight: from a cup of black Earl Grey to the most popular green Wulong/oolong. Boosting Energy – Porangaba tea is frequently drunk by Brazilian babes, well-known for their plump shapes. They say that brew suppresses their appetite, boosts their metabolism and increases their energy levels. Fat Burning & Losing Weight – Okinawan tea is another variety of green tea, promoted for its benefits of amazing weight loss. It’s frequently drunk by the Japanese people of Okinawa Island, who have never had problems with obesity. Reducing Cholesterol & Appetite, Detoxing the Body – Feiyan tea, including green tea, cansia seeds, lotus leaves and vegetable sponge, also promises a truly huge number of health and slimming benefits. Marketing materials also suggest that it reduces blood fat, cholesterol and bloatedness, as well as detoxes the body and suppresses the appetite. These are really big promises, largely based on science. Slimming Claims – Herbal tea for weight loss contains 2 specific herbs – dandelion or nettle, which have diuretic properties, eliminate excess water and, thus, reduce weight. Such ingredient as fennel suppresses appetite. Herbal teas are for people caring about their figures and getting into shape. Indeed, practitioners of traditional Chinese medicine know how to work wonders. Of course, slimming benefits of green tea for weight loss need more investigation. However, you shouldn’t stop drinking your regular brew. There is a plenty of evidence that tea can potentially benefit health: it protects our bodies from harmful free radicals, it lowers our risk of heart disease, cancer, strokes, cataracts and Alzheimer’s disease, it keeps our teeth healthy, and so more. After all, our longevity and slim figures are obtained regardless of tea drinking habits!